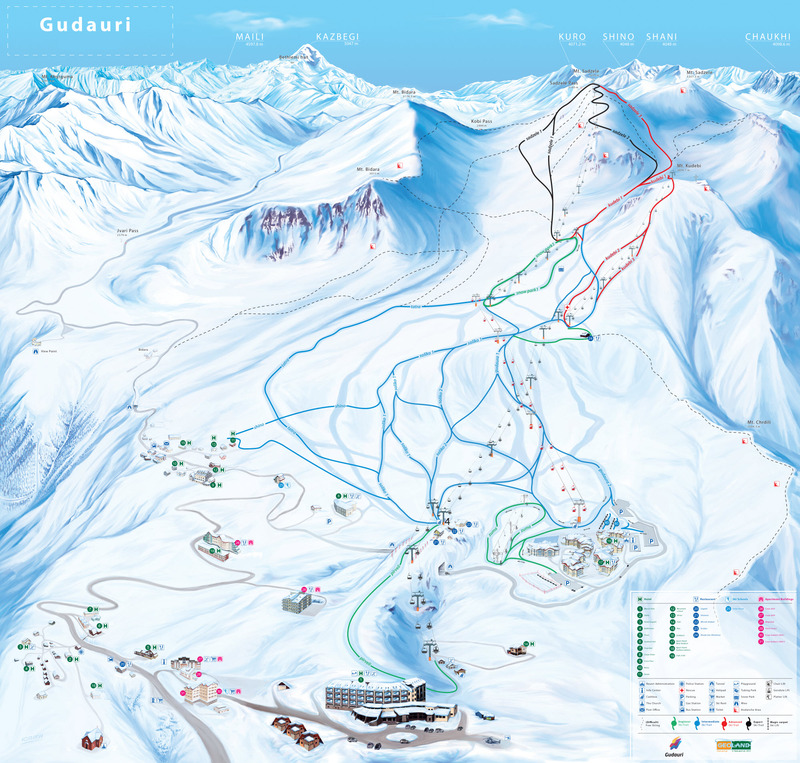 Gudauri is a ski resort located on the south-facing plateau of The Greater Caucasus Mountain Range in Georgia. The resort is situated in the Stepantsminda District, along the Georgian Military Highway near the Cross Pass, at an elevation of 2,200 meters (7,200 ft.) above sea level with skiable area enjoying maximum exposure to the sun. Gudauri lies 120 km (75 mi) to the north of the capital Tbilisi and two hours drive from the Tbilisi International Airport or even a short helicopter flight from the capital. The resort offers high quality skiing opportunities. The slopes of Gudauri are completely above the tree line and are best for free-riders and are generally considered to be avalanche-safe. The ski season lasts from December to April. Heliskiing is also available throughout the season.